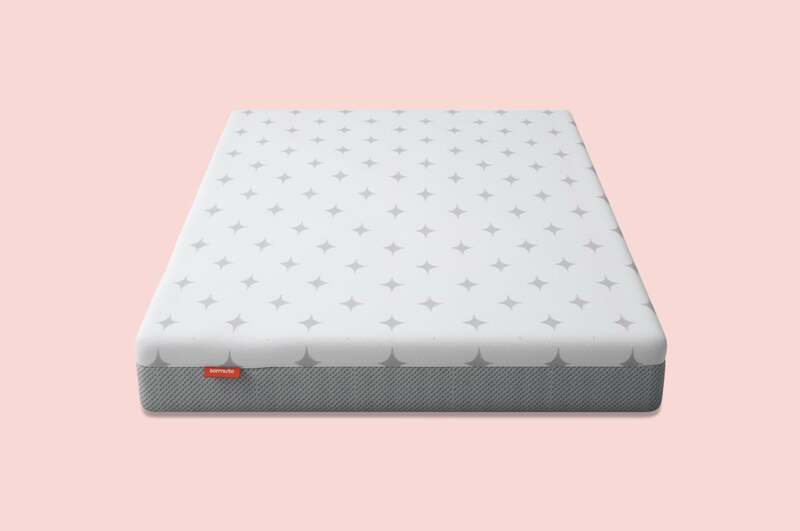 A hybrid design with above-average support, our review found the Noa mattress is ideal for people who can't choose between a foam or spring design. The natural latex and Tencel cover make it a good pick for people who care about what they're sleeping on. 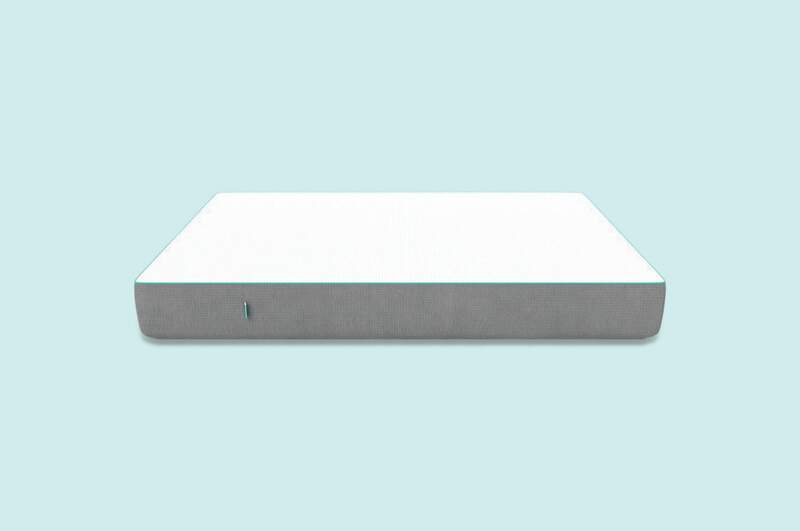 Although a newcomer on the mattress scene, Noa is gaining popularity among sleepers who enjoy a medium-firm feel without an outrageous price tag. The excellent customer service is just another perk of this already affordable design. As you scroll through this review, you'll get a true feel for the Noa mattress. You'll find information from real customers about the firmness, sleep quality, materials, overall feel and more. We do our best to share a range of customer opinions and use unbiased data. By the end, you'll know whether or not Noa is the right choice for your sleeping style. How does the Noa mattress feel to sleep on? 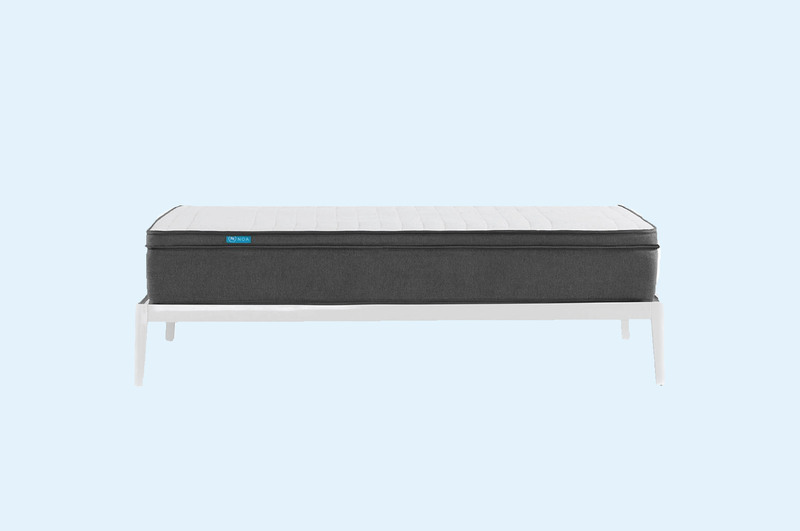 The Noa is like most hybrid mattresses, with a combination of bouncy latex foam, contouring memory foam, and pocket spring coils. Sleepers sink slightly when first laying down but feel a comfortable rebound from the latex and pocket springs. If you enjoy a firmer feel than an all-foam mattress, but can't imagine going back to a traditional designs, the Noa might be your dream come true. Most online mattresses position themselves as not too firm, not too soft. Truthfully, no mattress is perfect for every person. But the Noa is great for many sleepers, especially those who need more overall support. Back sleeper? The pocket springs add strength to soft foam—and gives your back a break from a long day. Yet, sleepers who prefer a plush, sinking mattress may find the Noa too firm. It all depends on your favourite sleeping position. That said, back and side sleepers enjoy this mattress the most. Side sleepers usually need a combination of support and softness—something that alleviates pressure on hips and shoulders without letting the body sink too deep. The individual pocket springs make this possible. 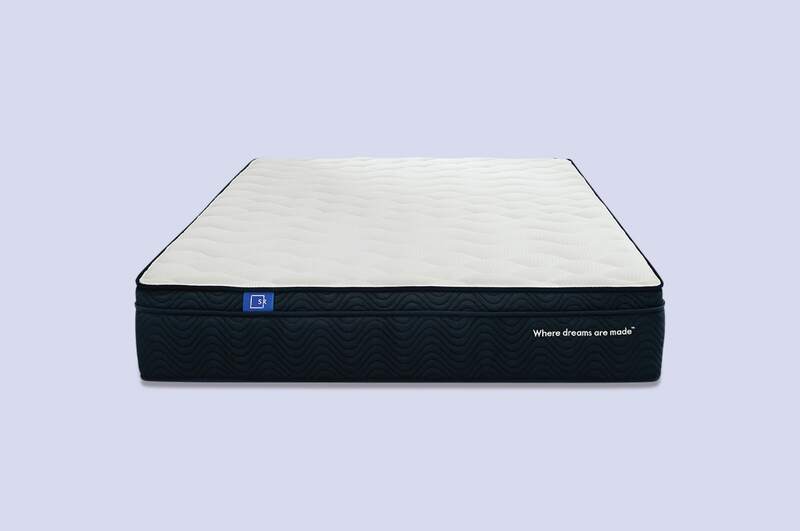 Some all foam mattresses are not firm enough for side and back sleepers. The Noa gives support without overdoing the comfort memory and latex foam layers. But not all sleepers are happy with the Noa. Stomach sleepers may find this mattress too firm, especially if they're smaller and lighter than the average person. Pocket spring coils give the Noa more edge support than its all-foam competitors. This makes it easier to get in and out of bed, and sit down on the side during the day. The latex also gives the mattress a bit of a bounce, making the surface spring back faster than a memory foam design. Typically, better edge support means more partner disturbance. Noa solves for this problem by using a memory foam layer underneath the latex. It helps transfer movement throughout the mattress, instead of targeting it to one spot. While movement on the Noa is more noticeable than all-foam mattresses, it's a major upgrade from a traditional spring design. Plus, the pocket spring coils are individually wrapped to minimise noise and vibrations. What is the Noa mattress made from? Like all hybrid designs, the Noa is made from three primary layers. What makes this mattress different is the order of the layers and the materials used. Below, we share how this affects weight, thickness, firmness, and feel. Starting from the top, the Noa begins with a layer of natural latex foam. This material is made from rubber trees and has an organic bouncy quality. It's more eco-friendly than synthetic latex and is naturally hypoallergenic. If that's not enough to love, it also does a great job at keeping you cool throughout the night. Plus, Noa uses only OEKO TEK certified latex—meaning it's free of heavy metals, pesticides, and chlorinated phenols. Underneath the latex is a gel-infused memory foam layer. Like all memory foam, this layer is less responsive and provides pressure relief by cradling your body. The gel is meant to prevent heat from building up, and several sleepers have noted the Noa doesn't sleep too warm. You can sleep soundly knowing the memory foam is REACH certified—a European certification that ensures chemicals and materials are being used safely. Next comes a thin transitional foam layer, which helps sleepers ease into the pocket spring support. The coils are individually wrapped to lessen motion transfer and noise. Since pocket springs are smaller than traditional spring coils, they offer targeted support for sleepers. Covering these layers is a breathable Tencel fabric cover. This unique material is made from wood cellulose, which makes it easy to produce and sustainable to create. It has a naturally silky feeling and add a layer of comfort—even underneath sheets. The side panels of the Noa use a firmer fabric, so it's easier to move and less likely to tear. Before moving a Noa mattress, you'll want to ask for help. 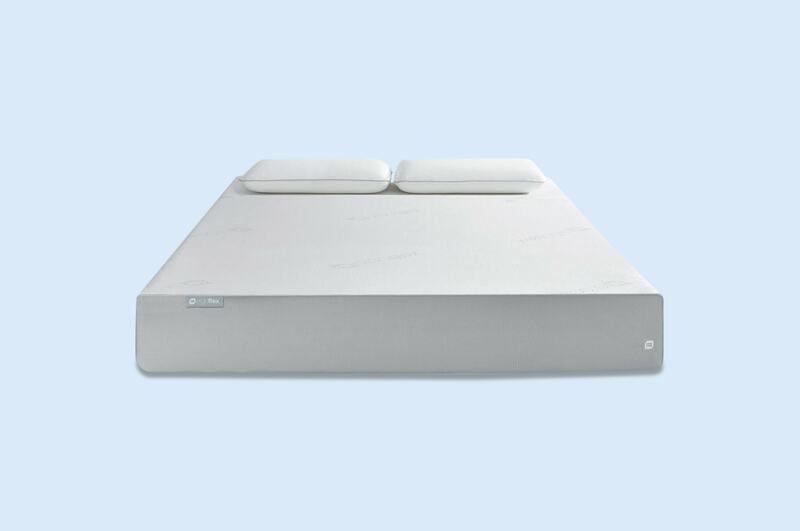 Hybrids mattresses are heavier than all-foam designs, due to the pocket springs. The queen size weighs 47.8 kilograms. The Noa ships compressed in a box, but it expands within 30 seconds of unboxing. While you can sleep on the mattress immediately, it takes 2-3 days for it to expand to its full 20 centimetres. Keep in mind, the Noa will feel different if you're transitioning from a traditional spring or all-foam design. You should give yourself at least 30 days to adjust to the feel—although many customers say it only took a week to get used to it. How much does a Noa mattress cost? Compared to other hybrid mattresses, the Noa is priced slightly above average. But it's below average when considering both hybrids and all-foam designs. The higher price is likely due to the Tencel fabric and natural latex foam. Overall, the queen comes in right below $1000, which makes it a good middle-of-the-road choice. The Noa also hits average marks for its trial period and shipping policy. Noa ships free to Hong Kong, Australia, Malaysia, and Singapore at the moment. And customers can expect the mattress within 3-5 days and can try it at home for 100 days. Noa steps up with a longer warranty and better return policy than competing online mattresses. The company offers a 15-year warranty, which is 3-5 years longer than most standard warranties. And if you do need to return the mattress, customers says the return and pick up process is incredibly simple and hassle-free. Who is the Noa mattress best for? After looking through customer reviews and diving into data, we believe the Noa is best for sleepers who enjoy a firmer feel. (Keep in mind all reviews are subjective). 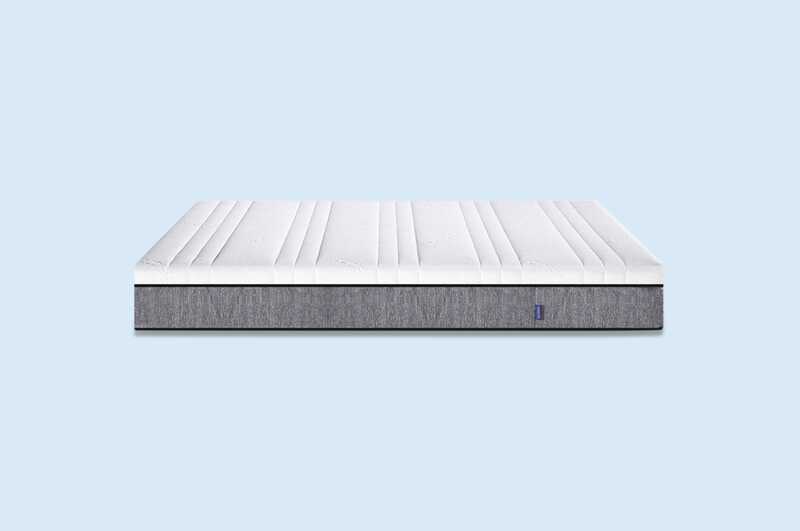 If you're a side or back sleeper, you'll probably be happiest with this mattress thanks to the combination of cushion latex and dense pocket spring coils. 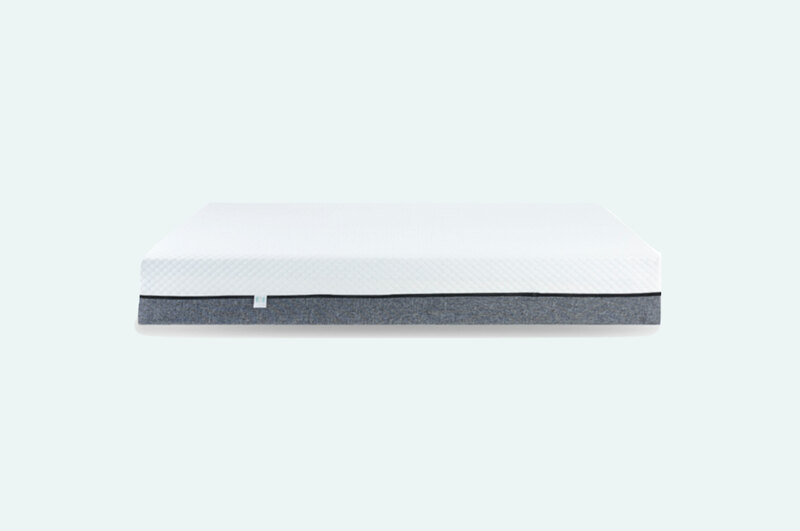 If you've tried an all-foam mattress and found it too soft, the Noa could be the perfect balance for you. But the best way to tell if any mattress works for you is to try it at home. With Noa, you can rest easy knowing the company makes returns simple. Although it's a up-and-coming brand, Noa is worth considering if you're looking for a solid hybrid design.